In the web hosting market, there are many kinds of web hosting plans. One of them allows you cheapest web hosting, one of them allows you flexible web hosting etc. But there is one more unique hosting plan which allows you to earn money with web hosting business, that is reseller hosting. Reseller hosting owners don’t have to setup an expensive data center or they don’t have to buy and maintain web servers even they don’t have to hire any technician to handle technical issues. In case of reseller hosting your hosting provider would be responsible for everything related technical to issues, maintenance, monitoring etc. And the reseller hosting owner can only concentrate on promoting his business. One more good point about reseller hosting is that reseller hosting owner gets more freedom and flexibility to create a good business strategy, promote their business and also concentrate on their core business. As per the global economic stats, reseller hosting is the fastest growing and profitable business. Anyone can learn about reseller hosting business very easily rather than any-other online business. If you want to start a reseller hosting business then you have to choose a good reseller hosting package with a suitable web hosting provider. After sign-up with a suitable hosting provider, you have to create customized hosting plans with a special control panel to manage customers, the disk space, and bandwidth purchased by you from the main web hosting provider, and promote and sell these hosting plans to your customers. The main web hosting provider permits the reseller owner to manage most of the web hosting related back-end (server-, security-, and connectivity-related) tasks. A. The reseller hosting account will provide both long and short term benefits. B. Once the web hosting provider assigned some resources in the physical server, the user can start reseller hosting business. C. Many times the main reseller hosting provider agrees to naming nameserver after the reseller hosting owner’s organization name and also assign many different IP addresses for their name server. D. Reseller hosting owner only has to think about disk-space and bandwidth to host many website in their server. E. Reseller hosting owner gets great level of scalability and flexibility with their reseller hosting account. F. In case of reseller hosting the main hosting provider continuously monitors the server and also solves any kind of technical issues. G. Reseller hosting owner can create many shared hosting accounts. After selecting a suitable web hosting provider, you have to choose a proper operating system. In reseller hosting there are mainly two operating systems available. One is Linux reseller hosting and another is windows reseller hosting. Linux is a open-source operating system and windows is a Microsoft’s products. 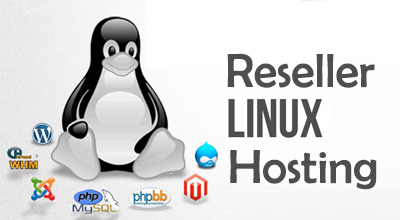 So, Linux reseller web hosting plan is a cheaper option than windows reseller hosting plan. But in both cases you have to make a foolproof business strategy.